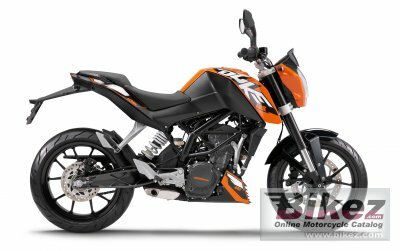 2014 KTM 125 Duke. Picture credits - KTM. Submit more pictures. The KTM 125 Duke is the world�s first 125 cc motorbike to offer ABS � thus making the first steps into motorised mobility even safer than ever. And obviously none of the familiar dynamism is lost along the way. On the contrary: The pedigree motorbike technology can now be enjoyed with even greater relaxation � dynamic cornering guaranteed. Ask questions Join the 14 KTM 125 Duke discussion group or the general KTM discussion group.